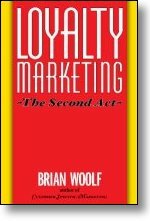 Chapter 12 - Do Loyalty Programs Work for Low-Cost Operators? It has been my experience that the CEOs whose first priorities are customers and employees tend to run more stable and more profitable companies in the long run. In the best of times, in the worst of times, they believed in loyalty marketing. Business fads came, business fads went, but their customers were first, last, and always. Both before and after they introduced their loyalty card programs, their goal was the same: to understand their customers, to please them, and to encourage them to return. Dayton and Dublin. Two distinctly different cities, each with a unique customer-centric retailer: Dorothy Lane Market in Dayton and Superquinn in Dublin; each company with a world-class loyalty program. Before the introduction of their loyalty card programs, their customer-building decisions were decided in that gray haze of intuition aided by anonymous transaction data. With the launch of their loyalty card programs, their decision-making was radically enriched by customer-specific data. A new epoch in retailing had dawned for them both. Their early steps towards a loyalty card program were cautious - neither wanted to offend any customer. Norman Mayne, the CEO of Dorothy Lane, was so anxious that the night before the program's launch, he called his director of loyalty marketing to see if its introductory newspaper advertisement could be pulled. ""Don't worry," he was assured, ""if it doesn't work, we can go back to our old ways in 4-6 weeks." Two years earlier, Superquinn had quietly offered its program to its existing customers for five months before its public launch. In the first year of each program, both companies modestly increased their same-store sales - and materially increased their same-store profits - over prior trends. Customer knowledge had quickly yielded better returns than intuition and guesswork. What do these two companies have in common? They've always been customer focused and both are led by passionate, visionary merchants seeking to provide a superior shopping experience. Rather than become ""general stores"", as have many supermarkets, they concentrate on food. Their point of differentiation in their respective marketplaces is that they are the ""food specialists"". With the assurance that comes with greater customer knowledge, both have distanced themselves further from competitors and have enjoyed even greater prosperity since their loyalty card programs began. Not entirely because of their loyalty cards, but partly so - the card has simply helped them do what they were doing before, but now even better. Better information has led to better decision-making across the whole business. The customer-focused goals of these two companies are similar, yet they have taken different paths to success. Let's discover what makes their ""shows" special. Surrounded in Dayton, Ohio, by three of the best retail giants in the US - Kroger, Cub Foods, and Meijer - Dorothy Lane Market exemplifies how an independent operator can thrive. Over fifty years old, with just two stores, it has built a reputation far beyond its size. Customers from all over North America are drawn to its website, dorothylane.com, to order two of its more famous store-differentiating signature items, Heavenly Ham(R) and its delightfully decadent Killer Brownies. Locals log on to order deliveries of its avant-garde (taste wise) box lunches. Club DLM members access the site for special weekly deals, upcoming events (eg, a Sausage Cookout or the annual Diaper Derby), to search its well-organized Recipe Archives for ideas, or to enroll for Dorothy Lane's next School of Cooking. Dorothy Lane is a Mecca for food aficionados or ""foodies"". In addition to their regular weekly groceries, foodies also accomplish their goal of locating the widest selection of olive oils, fine wines, tasty breads, bakery items, gourmet cheeses, fresh produce, and premium quality meats. Foodies are also tempted by unique offerings such as Artisan hearth-baked baguettes, shiny Alaskan salmon, and comforting lattes. This unique company is also renowned for its friendly, helpful service in every department, where every customer is greeted with a warm smile. To me, Dorothy Lane Market is the ""Harrods of the MidWest" in food retailing. So how then does a loyalty card fit into such a distinctive operation? Indeed, why even consider the idea? We will now find out. After Club DLM's apprehensive launch in May 1995, the lessons - and changes - came quickly. By making all promotionally priced items available only when a Club DLM card was presented, regular customers readily enrolled giving the company its first concrete insights into their behavior. The first two months of data convinced Norman Mayne and his team that Dorothy Lane Market served a wide variety of customers. They ranged from those who were attracted primarily by the company's advertised weekly specials - the ""herry pickers" - to its fabulous foodies. Believing that the future lay more with the latter than the former, the company set off down an unknown and - for retailers - fearful path. Just three months after the card's debut, Dorothy Lane eliminated its weekly newspaper advertisement. It was replaced - with appropriate customer notice - with an in-store ""hot sheet" featuring similar items, but at even lower prices. This 180-degree change in its promotional strategy worked! Sales held. Profits rose. Its radical decision vindicated, the company refined its communication program one step further by launching a monthly Market Report. This eight-page newsletter with food news, recipes, and activities at Dorothy Lane also included a page featuring either six or eight coupons, valid throughout the coming month. The Market Report (which continues today as a key element of the company's marketing strategy) was mailed to approximately the top thirty percent of its Club DLM members (who provide 75% of its sales). But with one twist: recipients were divided into three groups, each group being offered a different price for the same item, with the lowest priced coupons being offered to the highest spending group. A customer-sensitive retailer, who previously had believed in treating every customer equally, had now fully embraced differentiated marketing. Over time, as the Market Report coupon specials were priced even more aggressively for these better customers, the company financed these deeper markdowns by slowly transforming its generally available in-store hot sheet into a less aggressively priced ""lukewarm" sheet. Dorothy Lane had evolved from an ""all customers are equal" marketing strategy into a Best Customer strategy where the focus was on rewarding, retaining and building the number of its higher spending customers. Did Dorothy Lane lose customers in this first year? Yes. Transactions declined as the price-oriented shoppers - the cherry pickers - could no longer compare its prices with competitors' ads while sitting at their kitchen tables. Yet sales and profits increased as Dorothy Lane devoted more of its efforts and rewards towards its regular, better customers. Norman Mayne recently stated that within 18 months of its card launch, Dorothy Lane's annual profits had doubled compared to those in the twelve months prior to launch! ""It was like a blinding flash of the obvious," he explained. For years he had tried to look after every customer fairly - yet not all customers treated his company fairly in return. He now sought a more balanced relationship. Some customers, he discovered, made so much noise yet contributed so little to the business. From the reassurance he gained from the data, he realized that he no longer had to ""do gymnastics to keep some of them." The information his loyalty card generated had moved him from theory and uncertainty to reality and confidence. What is unique about Dorothy Lane's approach to loyalty marketing is its emphasis on rewarding customers for past behavior. ""It's all about integrity and trust," Mayne told me. ""It's an insult to a good customer to say to her, 'Spend $x in the next 10 weeks and you'll receive a reward,' when she has already shown how valuable she is during the past quarter or past year. When we ask good customers to jump through future hoops, we are telling them that what they have spent in the past doesn't count. But I know my good customers from my database. I'm just going to look after them." An excellent illustration of this principle in action is seen each year at Thanksgiving. US supermarkets that don't have loyalty cards indulge in kamikaze pricing of turkeys, often promoting them at $0.39 per pound, although it costs them almost twice that. In contrast, many supermarkets with loyalty cards skew the offer in favor of their regular, more profitable customers with an offer along these lines: ""Spend $500 in the 10 weeks before Thanksgiving and we'll give you a free turkey; or spend $250 and we'll give you a certificate for $5 off your turkey. Otherwise, it's available at the regular price."" Dorothy Lane's approach is different, even from that of the typical loyalty card operator. All turkeys are offered at full price in its stores. However, a few weeks prior to Thanksgiving, three versions of a surprise ""thank-you" letter are mailed to its better customers. The letter thanks them for being loyal customers and invites them to accept an enclosed gift certificate. Depending on the customer's spending history, the certificate is for a free turkey or for $10 or $5 off a turkey of their choice. To Dorothy Lane, these are rewards to customers who have already shown their loyalty; it's a ""trust us to look after you because you have chosen us for a major part of your food business"". Another example of Dorothy Lane's reward philosophy was its Anniversary Concert. In 1998, to celebrate its 50th Anniversary, Dorothy Lane rented a stadium in Dayton, and hired the Golden Boys - Frankie Avalon, Fabian, and Bobby Rydell (three popular teen idols of the '50s and '60s) - as entertainment. The company then surprised customers by sending out the first wave of concert invitations to its 500 best customers, allowing them (and a guest) to have the first choice of seats. Invitations to the next level of customers followed. Four thousand of its best customers and their guests enjoyed a free Las Vegas-quality concert, just for being loyal to their food store! This focus on surprise rewards manifests itself in different ways throughout the year. For example, at least once a quarter Dorothy Lane has an unannounced, extra-special customer sale for a week. (Remember, the company doesn't have weekly newspaper ads, so this is a surprise for its regular customers who shop that week.) It uses the best gondola ends in the store to create excitement. There are special items in each department and different extra special offers can appear on different days. These surprise specials are available to all customers using their Club DLM card. A surprise reward may be as simple as a bouquet of flowers while, at Christmas, it's often an invitation to its very best customers to pick up an elegant, food-related gift next time they are in the store. Over the years these gifts have included a bottle of the finest olive oil and a top quality bread knife; a tall, handsome pepper mill; a full set of upscale, imported chef's knives; and a presentation package including a top-of-the-line cutting board. Every month for the past four years, Dorothy Lane has mailed a variety of postcards to its Key Customers (ie, those who spend, on average, over $25 per week). The postcards are finely targeted to reflect the customer's purchasing behavior. Together with the extreme value offered on the postcard, it aims to trigger upon receipt, a ""WOW!" The 50%+ redemption rate reflects the customers' pleasure when they receive individualized offers such as $4 off any seafood purchase (mailed to top seafood customers), free Boston Stoker coffee beans (to heavy coffee drinkers), a free jar of Pine Club Dressing (to heavy salad buyers), $4 off any specialty cheese purchase (to wine buyers), or two dozen free eggs (to most customers). Club DLM members never know when they will receive a postcard. A great feature of postcards is that they are very flexible and low cost. One store's team can decide on an item and a target customer group today and have the postcards in the customers' mailboxes tomorrow. How can Dorothy Lane afford to have a monthly newsletter with great coupon offers, rewards for its better customers, targeted WOW! postcards, and, at the same time, increase its profits? Simple. The company took the total savings achieved by eliminating its weekly newspaper ad and redirected them away from the mass market towards specific customer markets. Rewarding regular customers is a mindset at Dorothy Lane. For those who spend $250 in a year, Dorothy Lane, via its Good Neighbor program, donates just under one percent of purchases to a charity of the customer's choice. This is a generous gesture in an industry where the average profits-to-sales ratio is a fraction over one percent. Also, from a business perspective, this approach is a more equitable way of returning profits to the community than writing a check for every organization that knocks on your door seeking a donation. To add more value to its relationship with customers, Dorothy Lane has developed, over time, an association with more than twenty other Dayton merchants who give a discount - typically ten percent - to any customer presenting her Club DLM card when making a purchase. Before becoming an exclusive sector member of the Club Merchant Program, each potential merchant is carefully checked by Tom Winter, Dorothy Lane's advertising director, to ensure it is the type of business Dorothy Lane customers would be happy to patronize. Merchant partners run the gamut: from dry cleaners to party stores; from landscaping services to housecleaning services. Customers can check the current list of Club Merchants at any time on the Dorothy Lane website. However, developing customer relationships is not done by special prices and rewards alone. It is accomplished by great service and constant customer contact. As Amy Brinkmoeller, director of loyalty marketing, recently told me: ""Our Club DLM is a great tool with which to reward our customers, but we never allow ourselves to forget that the best continuity program we offer our customers is the great service we provide every day in our stores."" Every night, at each store, a senior employee calls five customers who shopped that day to get feedback on their experience. Norman Mayne got this idea some years ago from his dentist who called patients who had major dental work that day. Customers' comments are written on special forms with a highlighted section to record any follow-up action required and, then, taken. Upon completion, these forms are circulated to every manager throughout the company. Every week, each manager and department manager sends a handwritten letter to customers, drawn from the database, thanking them for shopping at Dorothy Lane (and their departments) and inviting them on their next visit to make any suggestions they would like to see implemented. Comment cards are highly visible for customers to take and complete. In addition, cards seeking comments are randomly put in customers' orders. Even the Internet site has a feedback section. At each store's exit are Ask a Question forms. Customers are invited to pin up any questions they would like to have answered. These questions, along with management's answers, are posted for every customer to read. For continuous feedback with a long-term perspective, Dorothy Lane has a volunteer customer advisory group. It meets regularly with Norman Mayne over a two-year term to give its thoughts on how the stores are doing, the quality and range of products offered, and to make any suggestions for improvement. In turn, the advisory group is used as a sounding board for new ideas being considered. Several years ago, Norman Mayne was leaving a meeting we had both attended to meet his advisory group in Atlanta. Their first day was spent looking at that city's best food stores in order to learn how Dorothy Lane could be improved; the second day was for personal shopping. Dorothy Lane rewarded participants with airfares, first-class hotel accommodations, and an excellent dining experience. It's no wonder that during the busy Christmas season these advisory group members are often seen on the shop floor showing new customers where to find items and answering questions about Club DLM. This is a company that is serious about listening to its customers. With the advent of its loyalty card, its customer comprehension has been richly enhanced. Being close to the customer, having the city's most accommodating, friendly, and knowledgeable staff, and offering a clearly differentiated proposition doesn't mean that Dorothy Lane can ignore the intense competition from the three food retail giants that surround it. Rather than trying to compete head-on, however, the company practices classic differentiation strategy. In addition to straddle pricing (ie, above a competitor's price for non-cardholders and below it for cardholders) on many items, Dorothy Lane avoids direct price wars with these giants by the frequent use of two tools made possible through its Club DLM: segmented pricing and continuity pricing. When these major competitors indulge in their occasional bloodletting price wars, Dorothy Lane chooses to use its own unique weapons as was demonstrated in one recent city-wide milk price war. A gallon of milk generally costs a retailer a little under $2.00 and is sold for just a few cents more. One major competitor, followed quickly by another, dropped its retail price to $0.99. If Dorothy Lane had echoed this move, its profits would have been deeply cut. Instead, it introduced segmented pricing. Researching its database, it identified those regular customers who were heavy gallon-milk buyers. Then, with some funding help from its milk supplier, the company mailed postcards offering limited quantities to this vulnerable segment for a mere $0.49 per gallon! A comparable program, aimed at its heavy half-gallon buying segment, followed. The result of this information-based, differentiated marketing response was that Dorothy Lane maintained its company's sales and profits during the giants' summer-long battle! Even though Dorothy Lane offers many items around the store at lower prices for its Club DLM members, its goal is to have long-term relationships with its customers. Thus, the company has a bias towards continuity pricing. Its Summer Steak Club is a good example. Instead of having steak specials each week (favoring the occasional customer), it invites Club DLM members to enroll in its three-month long Steak Club. Each time a Steak Club member accumulates $50 in spending on steaks, the store sends her a $5 gift certificate. This type of sales-building, opt-in program is highly effective because it appeals only to the customer who regularly buys the items offered. This means that the continuity discount can be deeper than normal because the markdowns are given only to those who signed up; they are not wasted on customers with low or no interest. It also encourages those who opted in to visit the store more frequently to take maximum advantage of the offer. Continuity pricing is an information-based program where all the right players win. Once any business is armed with customer information it becomes empowered to act in its customers' interests. To gain that information, Dorothy Lane is always encouraging customers to present their loyalty card when shopping. This is done in various ways, including: two-tier pricing in every aisle (ie, no reduced prices without the card); reminder signs throughout the store; and regular letters to customers in the monthly newsletter, the Market Report (like we see in Figure 2, below) which set out the diverse benefits of always presenting their card. Why Should You Use Your Club DLM Card Every Time You Shop? Our cashiers begin every transaction by asking, "Do you have your Club DLM card?" Most of the time, your answer is "yes," but sometimes we hear, "I'm not buying anything on sale, so I don't need to use it." We want to let you know that there are reasons to use your Club DLM card for every transaction. § Your Club DLM account is "credited" with every purchase you make, so we are able to send you offers and special promotions via mail. Remember, the cornerstone of Club DLM is that our best customers will be rewarded the most. The more you use your card, the better savings you will receive. § When you sign up for our Good Neighbor Program, your favorite charity will receive up to a 1% rebate on all of your pur-chases made with your Club DLM card. To your charities, small orders can add up quickly. If you haven't signed up already, forms are available near the service booth at both stores. § Every time we scan your Club DLM card, you are automati-cally entered into our monthly raffle. We have given away prizes ranging from DLM gift certificates, to a trip to Club Med in the Bahamas, to a new car! § Don't forget the other benefits of Club DLM, including the return of lost keys and the Club DLM Merchants Program where you get discounts at numerous other businesses in town. Club DLM is much more than your way to receive our special in-store prices. It is your key to unlocking great savings and benefits at DLM and other businesses, such as Fraze Pavilion and Motorwerks, Inc.
With this focus on rewarding customers, it should be no surprise to learn that customers willingly enroll for their instantly usable, free Club DLM card. Nor that Dorothy Lane captures well over 80% of store sales with it, one of the criteria used to identify world-class loyalty leaders. Business success is never the result of any single factor. Dorothy Lane's continued success, surrounded as it is by some of the industry's toughest competitors, is no exception. Club DLM alone is not the reason. However, as we will hear Norman Mayne readily attest, the information it provides has been one of the special gold-tipped arrows in his quiver for building his highly successful business. Norman, what's your bottom line on Club DLM? "Information is power," he responded. "It's power I never had before the Club." Why, then, don't all retailers have a loyalty card program? "I don't know. I can't imagine ever running a business blind any more. I just didn't appreciate how blind I was until I saw the data on my customers. Possibly, the main reason why business leaders don't capture and use their customer data is that fearful word: change ... that's scary for some." Feargal Quinn, the founder of Superquinn, learned the essence of customer loyalty and retail success in another industry. In his outstanding book, Crowning the Customer, he describes how his summers as a teenager were spent working at his family's holiday camp. Holidaymakers came to this site off the coast of Ireland for one or two weeks. Their stay was paid for up front. Nothing more would be spent; there were no ""extras" to pay at the end of their stay. Quinn's father had one simple success measure: how many customers signed up to return the following year? This made the role of every family member obvious: make guests happy so that they will want to return again next year. This experience had an impact on the young man. When Feargal Quinn opened his first supermarket in the Dublin area in 1960, the guiding principle he instilled in all employees was - and still is today - Get the customer to return. In fact, the Boomerang Principle as it has since been dubbed, is now a well-recognized mantra in many parts of the retail world. As the company's magnetic North Pole, this principle is manifested in many different ways. Superquinn hires friendly people with a ready smile. Employees are taught to recognize and greet customers by name and to make eye contact with them. Customer service desks are highly visible and readily accessible. They are positioned prominently on a front gondola end in each store, so that customers can easily ask questions and express their thoughts. Superquinn truly wants its customers to return! Superquinn is a company where the customer is all-important; where doing everything possible to please them is paramount; where keeping in close contact with them is vital. For these reasons, Feargal Quinn, early in the development of the company, asked a close business friend to take on the chairmanship of the company so that he, Quinn, could spend a significant part of his time on the shop floor listening to and talking with customers. All top managers are expected to do their own family's shopping at least once a month, either in their own or in a competitor's store, so that they better understand shopping from a customer's perspective. Each is expected to spend at least half a day each week in the stores. To reinforce this mindset, the company has an amusing, albeit serious, lapel pin with the inscription, YCDBSOYA - ""You can't do business sitting on your ... armchair!"" Employees at Superquinn are encouraged to have fun. As grocery shopping will always be a chore rather than an enjoyable experience, Feargal Quinn encourages the ""fun" element of the business. Celebrations are common. There are frequent interstore contests. Trips to the United States are common prizes for a cross section of employees from the winning stores. It is a company where other family members are encouraged to join. (Indeed, one store employs six members of the same family.) The company celebrates achievements, anniversaries, birthdays, and even - as I discovered - the national holidays of visitors. One recent July 4th, I was with them for a day of meetings. As I entered the boardroom, the American national anthem was playing and meeting attendees were holding their hands over their hearts. Draped over my chair was a jacket: one half comprised the US flag; the other half was designed with an Irish shamrock! Fun and business mixes well at Superquinn. So much so that many new stores have opened on Feargal Quinn's birthday! Superquinn is a company where people are important. Employees are called colleagues. As you shop, you see photographs of the farmers who grew the beef that is on sale that week, or those who grew the mushrooms, lettuces, or other vegetable items on display. Further, not just each department, but each section has a photograph of the young man or woman in charge of that particular section. Store managers have an unusually high degree of responsibility and authority. The company's suggestion system readily rewards upward-flowing ideas. Superquinn believes that customer loyalty is not the game; rather, it is the result of the game. There are many, many facets to the game, as its approach above suggests, all with one common idea - If we look after our customers they will keep returning and their feeling towards us, their loyalty, will grow deeper. Superquinn is not, however, purely a customer-centric company. It's also a product-centric company. Like Dorothy Lane, it offers an array of unique, specially prepared signature items, which act as customer magnets, drawing customers past competitors' stores to shop at Superquinn. One signature item is the simple sausage, a part of the Irish heritage. Superquinn set out to produce the very best fresh sausages in Ireland - made in full view of the customers. In fact, these sausages taste so good they regularly win special Irish food awards. Superquinn never worries about its sausages being underpriced by competitors, a traditional retail mindset. Rather, it is concerned should any competitor ever dare to charge a higher price! After all, why wouldn't customers want to pay top price for the very best sausages in Ireland? Superquinn has built its business over time so that now more than half of its stores' sales comprise fresh items. Freshness is a fetish. Many of the vegetables on display in its stores are picked early that same morning. Tomatoes and bananas are displayed in two piles: ""Good for today" and ""Good for tomorrow"". If any product made fresh that day (such as their sausages or items in its bakery) is not sold at the end of the day, it is not marked down for clearance, a common retail practice, but is donated to charity. All beef that Superquinn sells is DNA-tested and records are kept of every beef item sold. Several years ago, when Mad Cow Disease caused the sales of beef to plummet in the UK (and at competitors' stores), Superquinn's beef sales rose - because Superquinn, armed with product-specific information, could guarantee the quality of its beef as it knew the origin of each piece sold. Have you got any ideas or opinions about shopping at Superquinn? Have you got any complaints, or any suggestions on how we might improve our service? If you have, you would be more than welcome at our consumer panel, which meets in this store from time to time. We learn a great deal from these meetings about those little things that can make such a big difference to you, the shopper; things we might miss ourselves because we are so close to the operation! If you can spare the time to help us, please put your name and address on the back of this leaflet and drop it in at the customer service desk. We'll be in touch next time we are getting together! Every fortnight, a different customer panel meets in a different store. Typically, Feargal Quinn and a customer relations specialist who takes notes, are deliberately heavily outnumbered by a dozen or more customers. This ratio signals to customers that it's their show; that Superquinn wants to listen to them. The meeting is open-ended. Quinn simply asks the panel what they think about all aspects of the company: The outside of the store? The bakery? The range of fish offered? Checkouts? Shopping carts? The way complaints are handled? Apples sold by the unit, not by weight. This means, for example, that as the cost of apples vary, they may be offered to customers as six, seven, or eight for £0.99 rather than, say, £1.80 per pound. Other customers told Quinn that waiting at the checkouts was the most painful part of shopping - so he introduced seats for customers to use while waiting in a checkout line. Customers are also provided with a selection of the day's newspapers to read while waiting! Superquinn is always wanting to find ways to neutralize the painful points of shopping - as we might expect from a company that truly listens to it customers. Ireland has a population of some 3.5 million people. Among them are ten thousand people who react adversely to wheat-based products. Celiac disease is such a serious problem for those who suffer from it that the Irish government allows sufferers tax relief on any gluten-free products they buy. After learning of this problem in a customer panel meeting, Quinn decided to something about it. The company introduced attractive shelf signs indicating which products were gluten-free and also identified the items on customers' register tapes. Superquinn then approached the Irish Internal Revenue Service and persuaded it to accept the company's recording of sales of gluten-free products to celiac customers. Superquinn now sends these customers an annual statement of the gluten-free products purchased in its stores. The statements are then submitted by these customers, along with their other tax details, saving them the chore of having to collect, sort, and total all of their register slips. It's another example of what Feargal Quinn means when he says that we must ""use technology to improve customer service." It also shows the power of listening to customers - of jumping across the counter to learn how they view their shopping experience. Of course, such a program would not have been possible without the information power of Superquinn's SuperClub card. The SuperClub card program, launched in 1993, permeates Superquinn's whole business - and beyond. Its points-based program allows customers to earn points not only in Superquinn's stores but also in 15 other businesses, including the Texaco petrol chain, a national sporting goods retailer, a home improvement chain, and a hotel group. Each partner offers points based upon the amount the cardholder spends. At Superquinn, customers earn points not only on their total spending but also when they buy designated items around the store. Selected customers are also offered points as a reward when certain frequency or spending thresholds are met. The catalog also features a wide selection of extremely attractive travel offers. Along with the redemption of a specified number of SuperClub points, a member can buy special low-priced airfares to most parts of the world, both near and far. Over a hundred diverse destinations are listed, including Manchester, Moscow, and Madrid; Oslo, Orlando, and Ontario; Beijing, Boston, and Bangkok. Another special section offers a variety of partners' gift certificates available in exchange for varying amounts of points. For example, 800 points for a £5 gift certificate at Superquinn; 900 points for a £5 gift certificate at a major book chain; 2,000 points for £20 gift certificate at a major hotel chain. And if that isn't enough, any customer who would like an item that isn't in the catalog can call the SuperClub hotline where she can ask for a quote, in points, for the item. If the customer accepts the quote, the item will be ordered. In other words, the customer decides when, where, and how points are used! A customer even has the choice of passing them on to a friend or donating them to a charity or other worthy cause. Customer pleasing knows few boundaries at Superquinn. As Eamonn Quinn, Superquinn's marketing director and deputy chairman, has pointed out, ""We must always keep in mind that points are there to reward the customer for shopping at Superquinn."" Superquinn is a very open, yet very accountable company. Every Thursday morning, members of the senior management team from its Support Center visit each store. They go from department to department, sharing with all employees how the previous week's trading and customer results compare with the week's target (flexed for the trading pattern of that week) and with peer performances at both department and store levels within the company. This means that all employees receive both a horizontal and vertical perspective of their department: sales, profits, and customer information. Ever since it began gathering customer information the company has recognized its importance. For example, it has changed its store manager bonus program from being based solely on the store's profits to a combination of the store's profits and changes in the Best Customers count. This was a result of Superquinn finding that changes in a store's Best Customer numbers directly reflected changes in the basic loyalty elements - service, cleanliness, in-stock conditions, etc - of that store. Superquinn is not only a company that is warm and friendly but is also smart and strategic. This is demonstrated by its recent development of TUSA, a 50:50 joint venture with one of Ireland's banks. In this venture, Superquinn brings to the banking industry the supermarket principles of high volume, low costs, extra-friendly service, and extreme convenience (deposits and withdrawals can be made at checkouts at any time the stores are open). This development is a natural outcome of a company that knows its customers. Based upon its customers' spending profiles, Superquinn can quickly identify which are most likely to be interested in a banking relationship when they visit one of their stores. Having already experienced Superquinn's superior care and service, its customers are, of course, more likely to move their banking relationships to a company where Superquinn is a principal shareholder. Further, to build the synergy between both operations, TUSA debit or credit card holders - who automatically become SuperClub cardholders - earn double points when using their card at Superquinn. TUSA is another example of using technology to improve customer service. Yet another example is Superquinn's Save Your Change program that allows customers to leave their change behind after shopping and have it saved, with their SuperClub card number being their account number. Some customers regularly set aside cash each week to help budget for Christmas and family events. Savings can be easily withdrawn. Just scan your card and enter your PIN number at one of the in-store kiosks (in the same way as one does at an ATM). Superquinn uses its rich insight into customers in various other ways as well. For example, Damien Carolan, Superquinn's top merchandise executive, now checks which Best Customers, if any, are buying a particular product before a decision is made to delete or replace it with another product. Superquinn is, in my experience, one of the world's best retailers. It is customer-centric, with an overriding goal of getting its customers to return. Its focus is reinforced by the inclusion of Best Customer measures as a key component of its bonus program. The company seeks to use technology to improve the customer experience. Management listens to and communicates with customers and colleagues alike. Sales, profits, and customer performance results are shared with all employees. Superquinn is a wonderful example of how a company can have fun and be highly successful at the same time. Their mission statement - To be a world-class team renowned for excellence in fresh food and customer service - reflects both its vision and their customers' experience. Feargal, what's your bottom line on SuperClub? 1) It allows us to measure our most valuable asset, our customers. 2) It allows us to develop better, stronger interpersonal relationships with customers. 3) It allows us to identify, recognize, and thank our best customers." "The cost. Loyalty card programs have a cost. Some companies see this cost as much greater than the benefit derived. Some companies either don't understand or don't appreciate the value of the customer information generated. Others have introduced very costly programs and don't feel the information they get provides enough return in exchange. Some think that a loyalty program is like the old Green Shields trading stamp program - but they forget one major fact: trading stamp programs never provided customer information to improve their business."